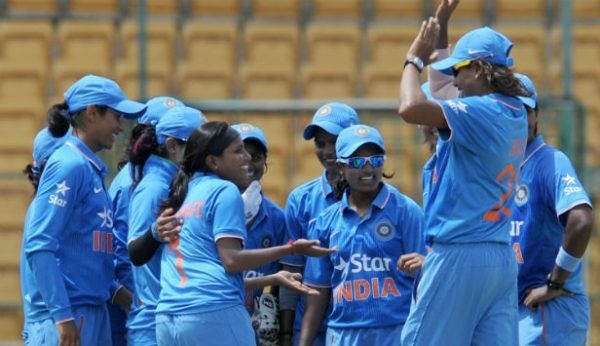 Indian team announced for women’s World Cup, Mithali Raj will be captain. The BCCI has announced the Indian team for the ICC Women’s World Cup to be held in England from June 24, 2017 – Saturday. Only one change has been made in the 15-member team participating in a quadrangular cricket series in South Africa, besides all the other players have been selected for the World Cup. The team will be led by Mithali Raj, and 19-year-old Deepti Sharma is also present, who played a record 188 against Ireland on Monday. Smriti Mandnah has been back in the team, who is running out of the field from January due to knee injury. He has got place in Team instead of Devika Vaidya. Mandhana played his last match for India in December 2016 during the T20 Asia Cup. In addition, two wicket-keepers have been included in the team as Sushma Verma and Nuzhut Parveen. The Indian team will make its World Cup campaign debut against England at the County Ground in Derby on 24 June. The antichrist India and Pakistan will clash on Sunday 2 July. In the tournament, all 8 teams will play against each other once out of which the top 4 teams will enter the semi-finals. World Cup final July 23 will be held at the Lord’s Cricket Ground, which is called ‘Cricket Mecca’. Mitali Raj (Captain), Harmanpreet Kaur, Veda Krishnamurthy, Mona Meshram, Poonam Raut, Deepti Sharma, Jhulan Goswami, Shikha Pandey, Ekta Bisht, Sushma Verma, Mansi Joshi, Rajeshwari Gaikwad, Poonam Yadav, Nujitt Parveen and Smriti Mandanna.